Left Bank Burger | That Yum Factor! Left Bank was definitely the Right Choice! 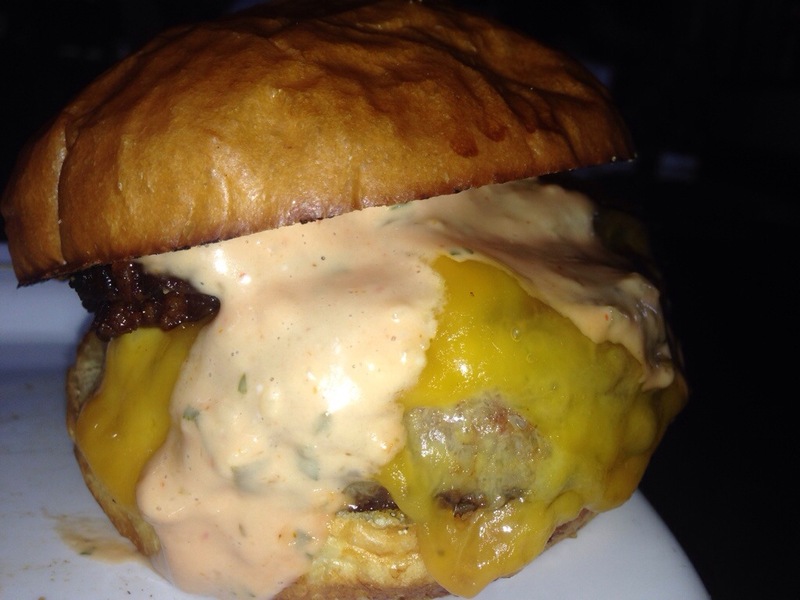 If you are craving a delicious, juicy burger and are in the Jersey City area – you must stop here. I “made my own,” which is what you see in the mouthwatering picture above. I requested cheddar, bacon, and their special left bank sauce, which was sauce-some. This burger really melts in your mouth and this place has a ton of great specialities to choose from like burgers accompanied with fried mac ‘n’ cheese or with fried eggs. Next time, I am going to see if I can switch out the bun for an English muffin, because burgers served on a toasted English muffin are just phenomenal. Posted in Hudson County - NJ, Image format and tagged Jersey City on July 31, 2014 by thatyumfactor.